Joe / Officer-K sets out to find Rick Deckard in what's left of Las Vegas. The city was abandoned after a radioactive bomb attack. When he walks through the city, he finds several beehives. A bee lands on his hand. He then walks past the hives into the hotel where Rick Deckard is hiding. The environment collapsed and there are no flowers anywhere, so real honeybees should not survive. If the honeybees were fake like other animals in the movies and books, why put several hives there? You can see in Deckard's apartment what seems to be hydroponics systems containing plants. Thus, it's not too far fetched that he might have some type of gardens at various locations across the casino or the area. Could he maintain enough flowers by himself in that dusty radioactive orange soup to sustain multiple hives? If you ask me; probably not. But it's a better explanation than none. As K begins his descent into Korean Las Vegas, he runs a thermal scan for signs of life in the radioactive nightmare. His screen shows several dots of heat that he interprets as life forms. As paranoid and solitary seeking as Deckard is, he might have put the beehives there to fool people into thinking that the bees are the thermal heat signatures from the thermal scan. Kind of like a false flag. If it works, the intruders walk away and Deckard keeps his privacy and solitude. Why K stuck his hand into the hives is beyond me. Like in the original Blade Runner, not everything can be explained (Listen to the Bonus Material of the "Ultimate Collector's Edition". This is what Ridley Scott says.) But it is clear that animals play an important part as symbols (like the Unicorn, the owl, the snake etc.) in th world of Blade Runner. It might be another hint that Deckard is a replicant. As the replicant Officer K retires in the beginning of the movie is obviously breeding garlic (in the german Version it was a smell of garlic from the cooking pot) it might be a sign that Deckard is breeding bees. Also the Motto of the Tyrell Corporation is "More human than human". One possible consequence is replicants behaving more human than human since they are breeding something real. Of course this is only one possible interpretation out of many. But this is what makes Blade Runner such a great movie. I get's you thinking. 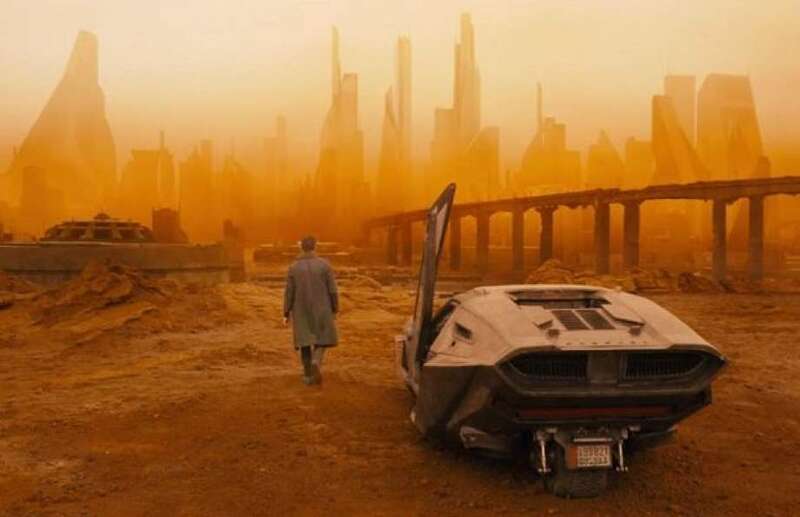 Are there different versions of Blade Runner 2049?